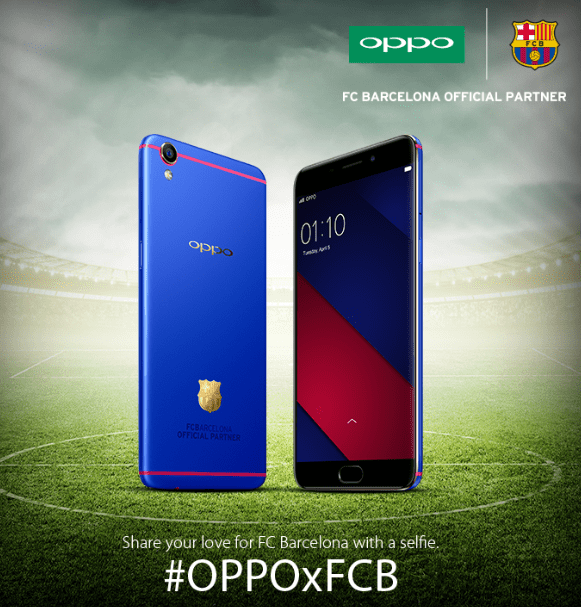 New Delhi, June 20, 2016: OPPO Mobiles, a leading global technology brand, today announced a digital contest for all FC Barcelona fans out there giving them a chance to win a special FC Barcelona edition OPPO F1 Plus. All that fans need to do is share a selfie showing their love for FC Barcelona and upload it with the?#?OPPOxFCB on Facebook. OPPO has entered into a 3-year partnership with FC Barcelona and the special edition OPPO F1 Plus has been launched globally to highlight the association. Participants have to click selfies showing their support for FCB and upload it using#OPPOxFCB in the comments section on Facebook. The selfies have to be uploaded on OPPO IN page only. The last date of entry is 22nd Jun 2016 till11:59PM. Winner judgement is a discretion of OPPO Mobile India Pvt. Ltd. The decision of the judges will be final and binding. No correspondence will be entertained. Participants can send multiple entries. All prizes must be redeemed prior to the expiry date. All entries to this competition are the sole property of OPPO Mobile India Pvt. Ltd. and may be used for such purpose and in such media as the company deems fit, without requiring the participant’s prior permission. OPPO Mobile India Pvt. Ltd. will not be liable for any loss, damage or expense incurred by a prizewinner or by his/her travelling companion (for example, costs of repatriation) as a consequence of any party participating in providing the prize becoming insolvent or entering into liquidation or bankruptcy. OPPO Mobile India Pvt. Ltd. reserves the right to amend any or all of the terms of this contest, or the prizes on offer, at any time without prior notice. All disputes will be subject to the jurisdiction of Mumbai courts only.